The release of Critical Times, Fishbone's first DVD showing the band in the studio at the Hen House has been pushed back to Nov 30th. More info on this DVD at http://criticaltimesthemovie.com/. Critical Times, Fishbone's Hen House sessions documentary film will premiere Monday, September 27th at 10pm at the Silverlake Film Festival held at the Arclight Cinemas, Los Angeles, California. Place: Arclight Cinemas - 6360 W. Sunset Blvd (between Vine and Ivar, with DeLongpre to the south) in Los Angeles, CA. More info on the Silverlake Film festival website: http://www.silverlakefilmfestival.org/. European distribution deal for "Live at the Temple Bar"
Ter à? Terre records (France) is working on the European release of "Live at the Temple Bar and more...", up to now only available through import. A European support tour is planned for early 2005. Oaks, PA - Music Video Distributors and Henhouse Studio are pleased to announce the home viewing release of Fishbone - Critical Times: Henhouse Sessions for worldwide distribution on DVD. In 2001, the legendary, influential and voraciously eclectic band Fishbone arrived to record their newest material at the Hen House, a free community recording studio - fully wired for digital sound and video. The only rule: leave your shoes at the door. What commenced was an in-depth look at a veteran musical group during its sometimes painful reincarnation phase. 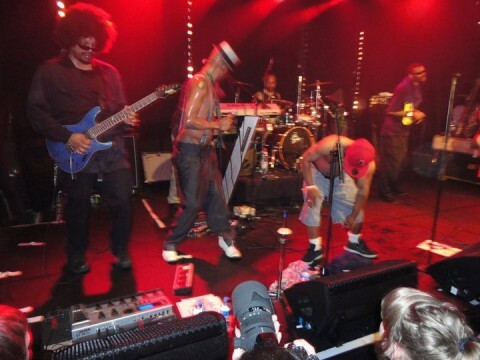 After having been lifted to stardom at the age of 17, the critically acclaimed Fishbone seemed poised to blast its way into permanent orbit - when suddenly their musical world was shaken apart with the explosive departure of key members of the band and problems with their label. The film centers primarily on the creation and recording of the songs in the studio - giving a privileged viewpoint as if one were a member of the band. The seamless blend of multi-angle cinema verité and time-lapse photography turns day to night and back again as the band pleads, cajoles, threatens and uses every trick in the book to bring their music alive. This electron microscopic view of the band does nothing to demystify its potent JuJu - after nearly a quarter century touring and composing together - their unique magic is still operating at it's nuttmost. The innovative use of multiple DV cameras to document the creative journey brings the audience as close as they will ever get to the raw, funky crucible where this absolutely inexplicable band brews it's voodoo stew of schizoid metal/rap/funk/ska and to some extent, reggae. Primarily thought of as an almost religious experience - the brutally joyous live shows of the band have been long known - what is less understood is the source of this inspired madness. Critical Times: Henhouse Sessions also delves into personal lives, politics, factions in the band and competing musical styles all coexisting in an uneasy but fascinating balance. 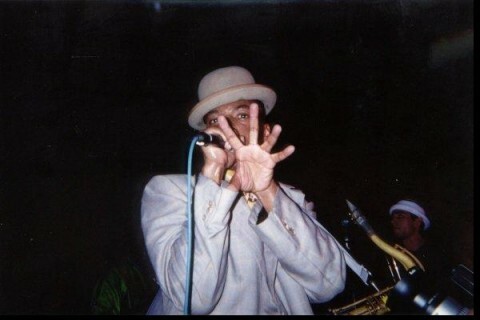 Band documentaries may come and go - but this is Fishbone. Way up close. Don't be left behind ! Sign up on your account page for automatic show notification and reminder. Each time a show is added for the states or countries you select, you'll be notified by email. Another email can be sent the day before the concert to make sure you don't forget it. Welcome to fishbonelive.org, the result of more than a year of part-time coding, dedicated to disseminate the nuttness of Fishbone. This site lives from your contributions ! Share your goodies ! Don't hesitate to send me (webmaster@fishbonelive.org) your ideas and comments for the site. If you have some unlisted tour dates (past or present), send them in too! I'm still looking for tour dates for the 1984-1995 period (1996 to now is pretty much comprehensive), please check your stubs and help fill the gaps !